I could spend hours in a stationery store. I love things that are beautiful both in form & function, and with stationery, that’s often the case. I love the feel of good quality paper – thick & crisp – and the feeling of writing with good quality pens – no dragging, just smooth & easy. I also love sending stationery, especially now that sending cards & notes through the mail is becoming more & more a thing of the past. it takes so much more time & effort to do it that way, so whenever I receive a card in the mail, I really take the time to read it & appreciate the message. a friend of mine gave me a notebook for Christmas, and she mentioned that she had purchased it at greer & highly recommended me to check it out. I finally made my way over there last week (it’s on Wells just north of North Avenue for my fellow Chicagoans), and it did not disappoint. various stationery items were on tables, beautifully displayed. their selection is fantastic – so many of my favorite stationery brands were there (rifle paper & co., crane & co, snow & graham, sugar paper, kate spade) as well as other brands I hadn’t heard of before but was happy to get introduced to. the front room led to a little hallway that had an incredible collection of unique greeting cards for every occasion, and I took advantage of the opportunity to pick up some cards for birthdays & events coming up. 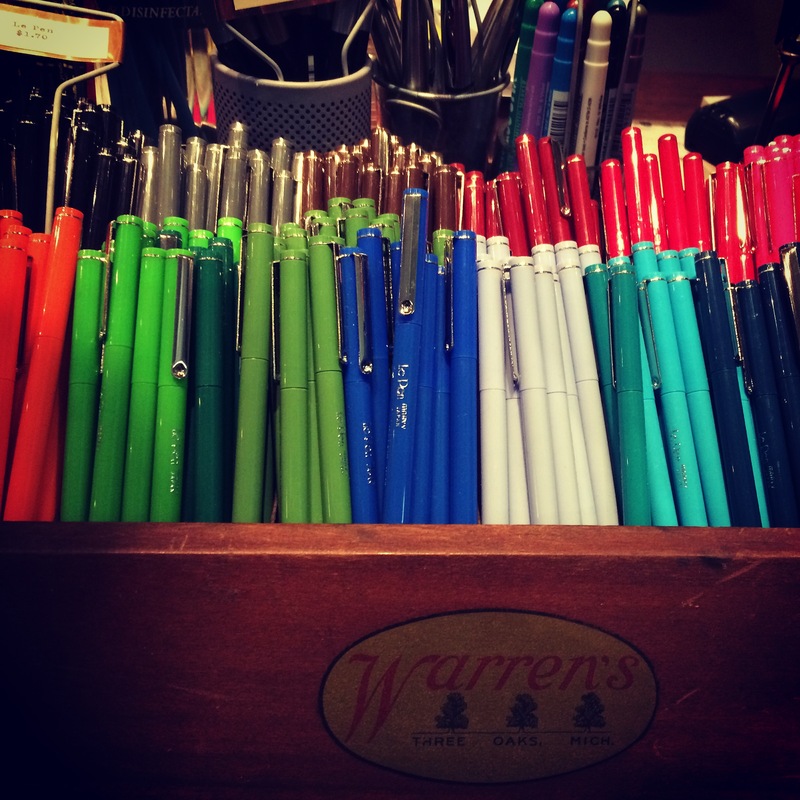 I also picked up a bunch of these pens (photo above), which have quickly become a new favorite. I’m digging the extra fine point nib. 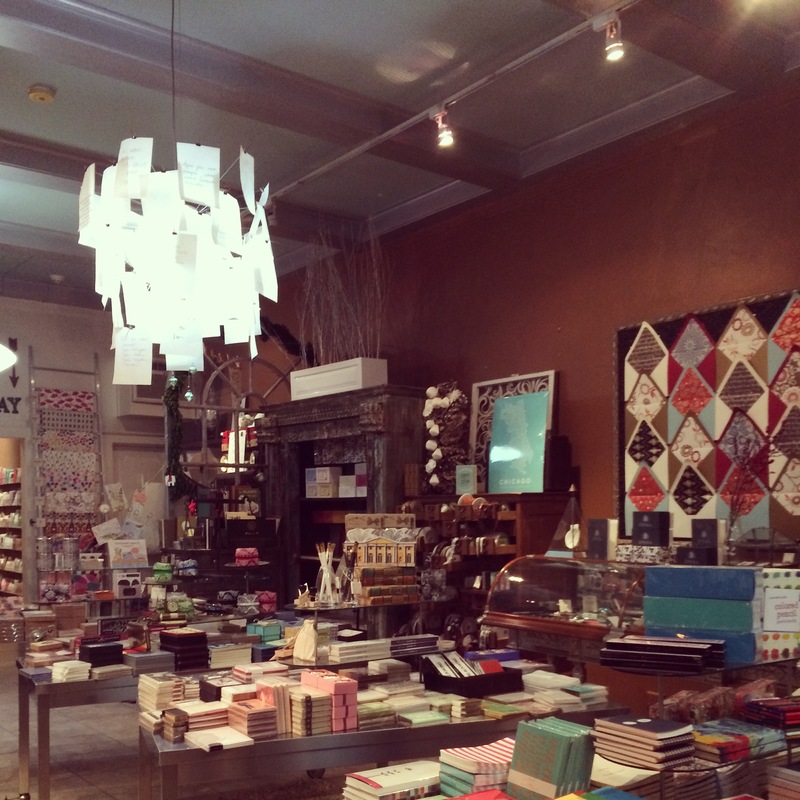 if you love stationery and beautiful gifts, I highly recommend you go & check it out! drop me a line at shortandlovelyhes@gmail.com.